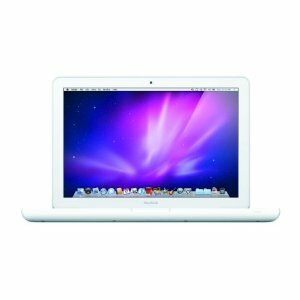 Apple MacBook MC516LL/A - review, specification, prices. Apple MacBook MC516LL/A offers you a 13.3 inch glass display with LED backlighting that delivers outstanding balance of luminous and stunning colors. This Macbook features next generation NVIDIA GeForce 320M graphics, a 2.4 GHz Intel Core 2 Duo processor, 250 GB hard drive, and 2 GB of RAM. Plus the battery life is 10 hours. That’s means you can make your way with this Apple MacBook MC516LL/A is a better choice. This macbook also features a glass multi-touch trackpad taht supports inertial scrolling, right clicking, and Multi-Touch gestures and all in a streamlined, durable unibody encloseure. Other features of this Apple MacBook MC516LL/A include integrated Wireless-N Wi-Fi networking, two USB 2.0 ports, and Bluetooth connectivity. This macbook also comes with the Mac OS X Snow Leopard Operating System and iLife software suite that includes the latest version of iPhoto, iMovie, and GarageBand. Up to 10 hours of continuous use with 63.5-watt-hour lithium-polymer battery. Mini DisplayPort video output with optional adapters for DVI and VGA output. 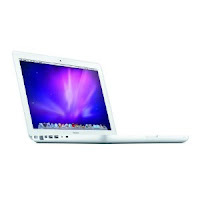 Related Posts to "Apple MacBook MC516LL/A"
4 Comments to "Apple MacBook MC516LL/A"
Please comment to Apple MacBook MC516LL/A - Laptop and notebook reviews Apple MacBook MC516LL/A, review, specification, and price. Please don't spam.